With everywhere from Maine to Louisiana having played the role of Alaska on the big screen, Juneau is appearing on the silver screen for the first time in 13 years. 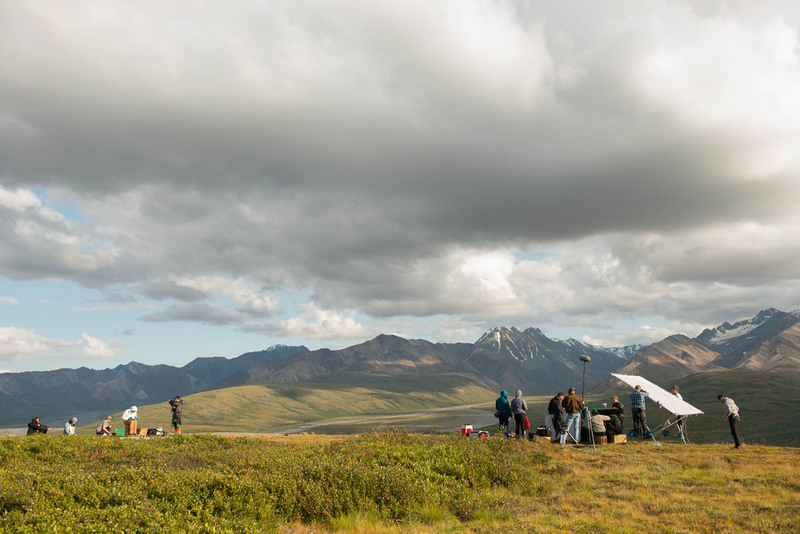 Production Weekly describes the movie as the story of a young girl sent to Alaska by her struggling mother. Weiss emphasizes the importance of Alaska as a place of reflection. “We’ve tried to capture that side of Alaska and I think that’s what, when we speak to real people, especially transplants, that’s what they say. They thought ‘we’ll just be here for a few months,’ and twenty years go by. It’s that quality we’re trying to tap into,” Weiss said. The crew had local help with that aspect. While the number of the people working on the project varied depending on what they were doing, there were ten full-time Alaskan crew members on the crew of 23 total production workers. “We have all these local Alaskans saying ‘actually, it would be better if you went this route,’ and we’ve taken their advice at almost every turn and it’s been well worth it,” producer Julie Christeas said. Writer and director Frank Hall Green originally conceived the idea for the film while visiting Alaska. “It was always going to have to be here. He dreamed of it here. We’re not shooting Canada for Alaska. We’re not shooting Seattle for Alaska,” Christeas said. Producer Joe Stephans added that the crew actually used Alaska for Seattle in one scene. He calls it a little payback. In the film, Juneau serves as Mackenzie’s introduction to Alaska. “It’s her gateway to Alaska. We found Juneau to be the most cinematic of cities with the ever changing weather against the landscape,” Weiss said. The film crew spent a week and a half shooting around Juneau with scenes at Cope Park, the Breakwater Inn, and the Juneau Airport. Filming also included a shoot at Mendenhall Glacier that resulted in an up close experience with the wildlife. Stephans said that park officials were on top of things and cleared the cast and crew out while the mother and two cubs wandered through the set. “Every single day there is something new and just when you’ve seen what you think will be your single take home memory of the shoot, something else happens and that’s just a daily occurrence,” said Weiss. 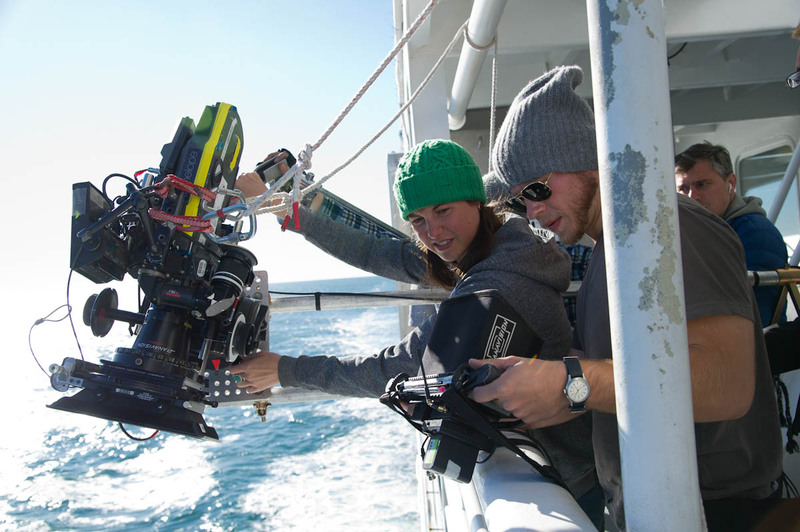 Production finished on Sept. 6 with filming aboard the AMHS ferry Malaspina while it was docked in Juneau. Juneau last saw time on the big screen with the 1999 film Limbo. “We’re not necessarily on the movie map yet, but hopefully things will change,” said Elizabeth Arnette, with the Juneau Convention & Visitors Bureau. The film has applied for the Alaska Film Production Incentive Program, which the producers give credit to for being able to shoot in Alaska. “It encouraged us to come here and find crew that lived here, worked here and has resources here,” Christeas said. The film, from Tandem Pictures and Green Machine Film is expected to be released in 2013. You can follow the film-making process on Wildlike’s Facebook page and see behind the scenes photos from scouting through the wrap up.